Chris Faraday once smuggled illegal items or contraband into the country on freighters. He left that life behind, got married has a family and went legit. But when his brother-in-law got involved with Briggs, a drug dealer and when he blew a deal, Briggs demands restitution which he can’t deliver. So Chris offers to find a way to pay him but the he threatens Chris’ family if he doesn’t deliver. So he gets on a freighter destined for Panama and he sets out to bring back some counterfeit currency. Briggs “goes to see” Chris’ family. When Chris learns of this he asks his friend Sebastian to take care of them which he does. He tells Chris that it would be better to bring drugs instead of the cash. Once upon a time, there was an actor called Giovani Ribisi, and if you saw his name in a cast list, you were pretty much assured of a quirky, indie film with a strong performance from this guy. Then he went mainstream and started churning out the same character time and time again. Usually a drugged up scumbag. Here he is, as a drgged up, drug-dealing scumbag. It’s now Ribisi by numbers. And of course, we have the least talented of the Wahlbergs taking the lead (one of his brothers is also in this film, but alas, Donnie isn’t the one as someone like him might have been able to add a possibly film-saving spark!). Marky Mark (who akways tries to leave behind his Funky Bunch persona) doesn’t act – he just frowns his way through the plot in an unconvincing manner and, unfortunately, has absolutely no chemistry with Beckinsale (who plays his wife). How can someone not have chemistry with kate Beckinsale? For crying out loud, she’s hot as Hell! I’m straight as can be and even I fancy her! The plot is basically Gone in 60 Seconds, but without the cars and without any real structure (coincidentally, Ribisi was in that film too – I sense a pattern…). It was dull, dull, dull and there is absolutely nothing redeeming about this movie at all. 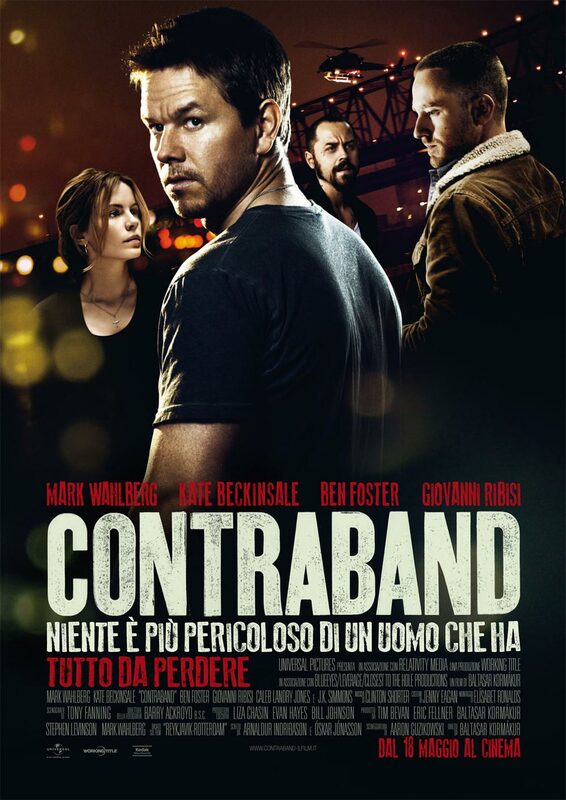 This entry was posted in Films and Reviews, Pastimes and tagged Baltasar Kormákur, Ben Foster, Contraband, Domestic Goddess, Film Reviews, Giovanni Ribisi, Kate Beckinsale, Mark Wahlberg, Movies. Bookmark the permalink.